Family Circle was inspired by a woven leather button consisting of four pieces of leather each turned 90 degrees from the previous. From that came a beginner design called Square The Circle, a requirement of my NAN Teacher Certification Teacher Preparation Level. 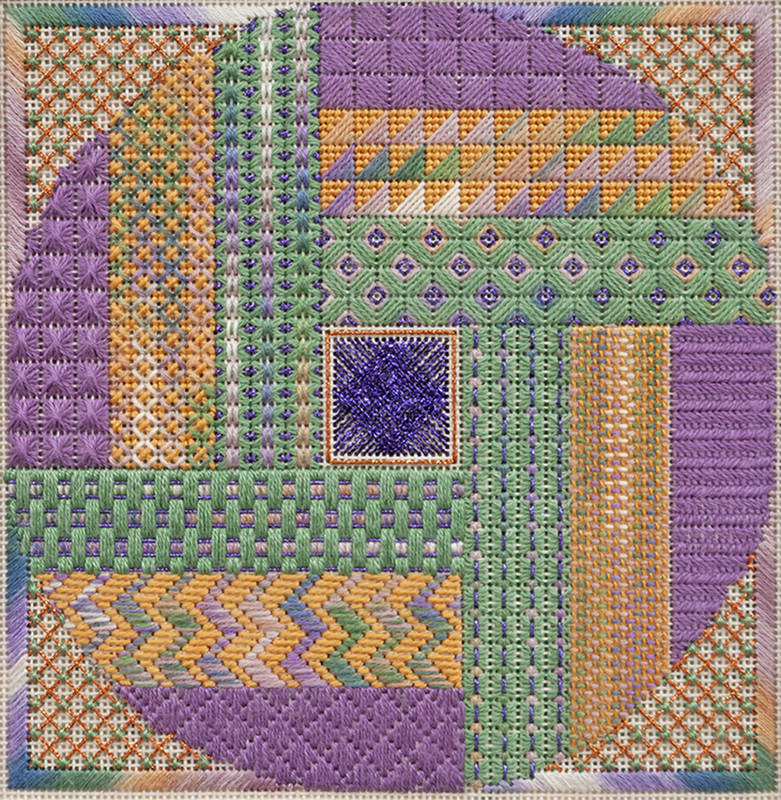 The simple form of the button continued to inspire me, leading to the more advanced piece Family Circle, which I intend to use as a tool to teach stitchers about the idea of needlepoint stitch families. Family Circle has three stitches at 3 different levels of complexity in 4 families. The families include box, tied, straight, and crossed. To start, I decided to base my color choices on an overdyed Impressions colorway called Sunset. The other threads were chosen because their qualities, textures and thicknesses were appropriate. These threads include pearl cotton, Waterlilies, and Kreinik braid.